"Bed Rest in Pregnancy: Time to Put the Issue to Rest" states that while physicians may prescribe activity restriction, most still believe it does not work. It also costs $2-7 billion and affects almost 1 million families annually. 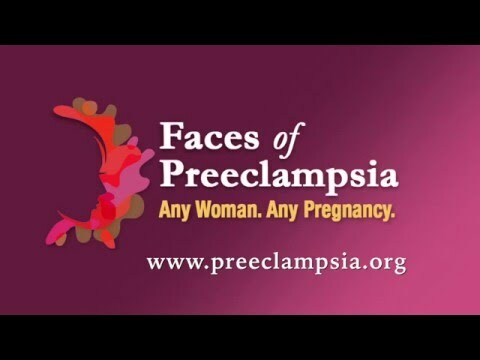 This begs the question: why do so many women at risk for preeclampsia get put on bed rest? Members of the Preeclampsia Foundation's Medical Advisory Board suggest that in certain individuals, reduced activity - rather than strict bed rest - may be beneficial. For instance, your job or lifestyle may include strenuous physical activity that should be curtailed. Doctors would discourage high intensity cardiovascular training in an "at risk pregnancy." In any case, be aware that bed rest increases your chances of deep vein thrombosis (DVT), otherwise known as blood clots. Discuss with your healthcare provider steps you should take to minimize your chances of developing blood clots, as well as the specific details of how strictly you should adhere to this instruction. Bed rest, like any medical intervention, should always be evaluated against its Benefits, Risks and Alternatives. Mentally and emotionally, if you are cautioned to reduce your activity or spend a lot of time in bed, we have compiled some great tips so it doesn't feel like solitary confinement. Were you put on bed rest in your pregnancy? What did that experience do for you? Talk about it here. 1. Grobman WA, Gilbert SA, Iams JD, Spong CY, Saade G, Mercer BM, et al. Activity restriction among women with a short cervix. Obstet Gynecol 2013;121:1181–6. Available at: http://dx.doi.org/10.1097/AOG.0b013e3182917529. 2. McCall CA, Grimes DA, Lyerly AD. “Therapeutic” bedrest in pregnancy: unethical and unsupported by data. Obstet Gynecol 2013;121:1305–8. Available at: http://dx.doi.org/10.1097/AOG.0b013e318293f12f. 3. Maloni JA. Lack of evidence for prescription of antepartum bed rest. Expert Rev Obstet Gynecol 2011;6:385–93. Available at: http://dx.doi.org/10. 1586/eog.11.28. 4. Biggio JR Jr. Bed rest in pregnancy: time to put the issue to rest. Obstet Gynecol 2013;121:1158–60. Available at: http://dx.doi.org/10.1097/AOG.0b013e318294480d.